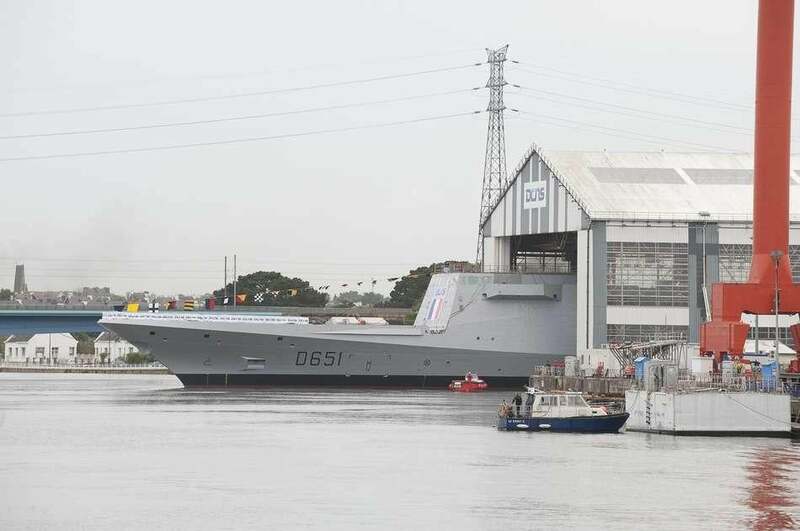 The French Navy’s second FREMM multi-mission frigate Normandie has been successfully launched by DCNS at its Lorient facility in France. Construction on the vessel began in October 2009 and is currently in the mast infrastructure installation phase, which involves building storage units for the its sensor suites, such as radars, antennas, cameras and jammers among others. DCNS is under contract to build 12 FREMM ships, of which 11 vessels are for the French Navy, with one reserved for the Royal Moroccan Navy. The French FREMM frigates will be built in two mission versions where nine ships will feature ASW and shore bombardment enhanced capabilities, and two will have torpedoes, vertical-launch self-defence missiles and an active towed array sonar. "FREMM frigates provide anti-air, anti-surface and anti-submarine warfare capabilities." FREMM frigates provide anti-air, anti-surface and anti-submarine warfare capabilities. In addition, they offer unparalleled levels of interoperability and readiness, as well as responding to countering threats from air, sea and land for the navy. Capable of accommodating a crew of 145 with a complement crew of 108, the 142m-long French Navy’s FREMM frigate has a displacement capacity of 6,000t, can cruise at a speed of 27k and has a range of 15k. The first FREMM frigate, Aquitaine, is expected to be delivered to the French Navy by the end of 2012. The second vessel in its class, FREMM Mohammed VI, is expected to be delivered to the Royal Moroccan Navy in 2013. FREMM Provence, the fourth ship of the class, will soon undergo assembly phase. The fifth and sixth frigates, Languedoc and Auvergne, are under various stages of construction. Image: French Navy’s second FREMM frigate Normandie during its launching ceremony. Photo: © Marine nationale.